Metal Signs There are 12 products. Great gift idea! Printed metal signs 30 x 20cm. Great gift idea! 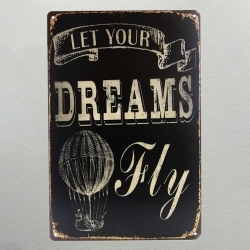 Printed metal sign featuring Let your Dreams Fly wording.30 x 20cm. Great gift idea! 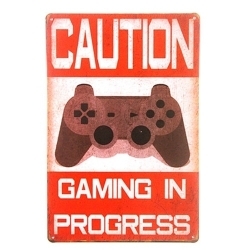 Printed metal sign featuring Caution Gaming in Progress wording and a game controller.30 x 20cm. Great gift idea! 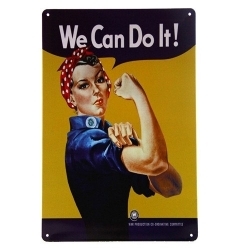 Printed metal sign featuring the wartime 'We can do it' slogan.30 x 20cm. Great gift idea for the good friends in your life! 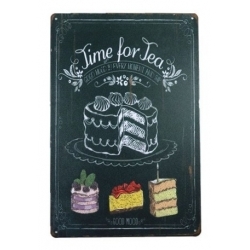 Printed metal sign featuring Time for Tea wording and pictures of delicious cakes.30 x 20cm. Great gift idea for the men in your life! 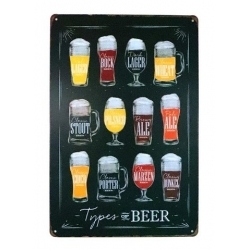 Printed metal sign featuring types of beer.30 x 20cm. Great gift idea! 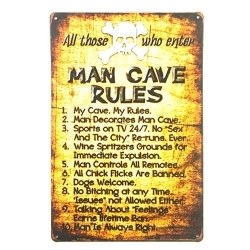 Printed retro metal sign featuring Man Cave Rules.30 x 20cm. Great gift idea! 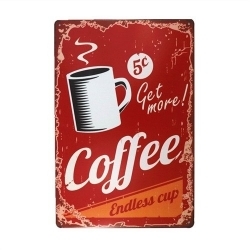 Printed retro metal sign featuring the wording Get more coffee, Endless Cup.30 x 20cm. Metal Sign - Get more coffee! Great gift idea! 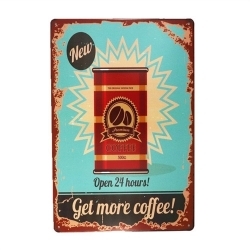 Printed metal sign featuring 'Get more coffee!' wording.30 x 20cm. Great gift idea! 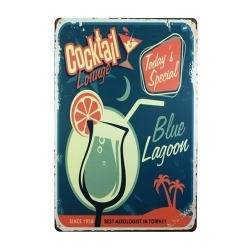 Printed retro metal sign featuring the Blue Lagoon Cocktail Bar.30 x 20cm. Great gift idea! 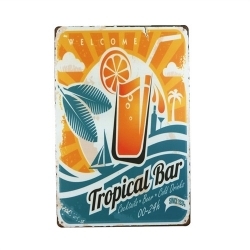 Printed retro metal sign featuring Welcome Tropical Bar wording and a cocktail.30 x 20cm. Great gift idea! 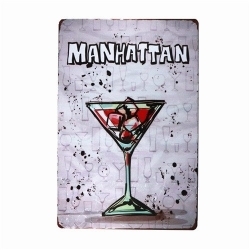 Printed metal sign featuring a Manhattan cocktail.30 x 20cm. Great gift idea for the men in your life! 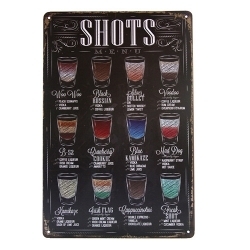 Printed metal sign featuring an alcoholic shots menu.30 x 20cm.